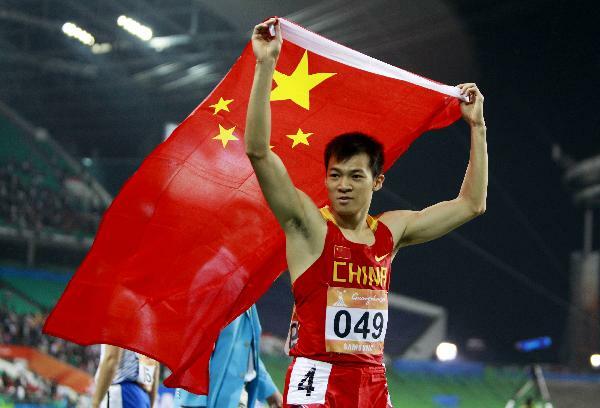 The 27-year-old Liu clocked 13.09 seconds to win the Asian Games men’s 110m hurdles for the third time. The result in Guangzhou was his best since he made a comeback from injuries in 2009. The 25-year-old sprinter claimed the men’s 100m title at the Guangzhou Asiad, becoming the first Chinese runner to win the event at the Asian Games. 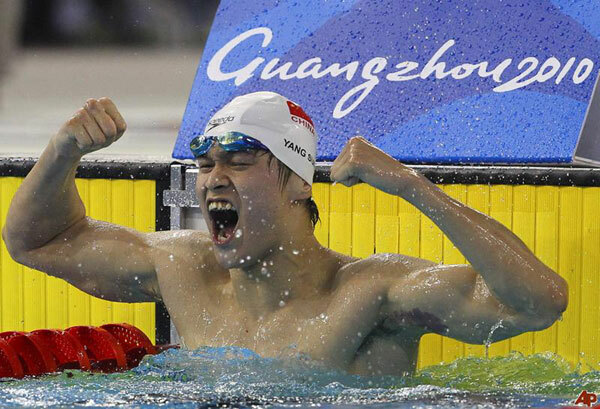 The 19-year-old swimmer broke Asian record to rule the men’s 1,500m freestyle at the Guangzhou Asiad, creating world’s best record in 2010 season. He also won gold in the men’s 4x200m freestyle relay and silver in the men’s 200m and 400m freestyle at the Asiad. 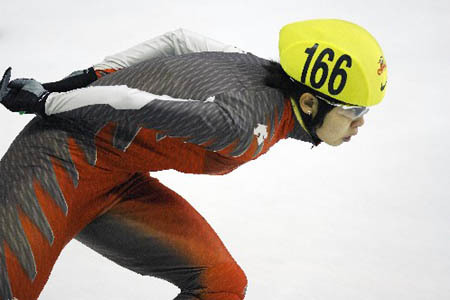 The 25-year-old skater collected three golds at the Vancouver Winter OLympic Games, leading the Chinese team to win all the four golds from the women’s short track speed skating. She was the first Chinese athlete to defend a champion at the Winter Olympics. The 31-year-old volleyballer delivered a strong comeback at the Guangzhou Asiad by leading the Chinese team to the top spot on the podium. The 27-year-old "Super Dan" took home two Asiad golds in Guangzhou, finishing his season as the first badminton player in the world to have swept all the major international badminton competitions. The pair scored 216.57 points to win China’s first ever Winter Olympic gold medal of figure skating in 30 years in Vancouver. 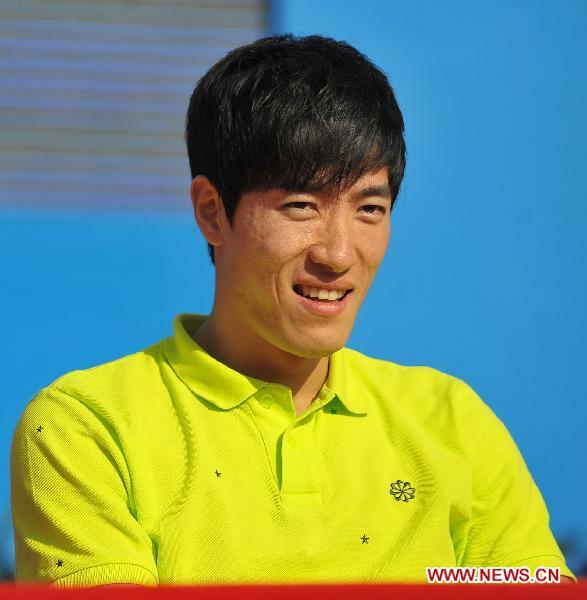 The 28-year-old Li became the first Chinese tennis player to enter WTA world top 10 rankings in February. She also led the Chinese team to win back the team title after 24 years at the Guangzhou Asiad. The 24-year-old twins won the China’s first synchronized swimming title at the World Cup. They also won at the Guangzhou Asiad. The 16-year-old Hou won the women’s chess World Championship in Turkey in December, becoming the 13th and the youngest world champion in the history of the women’s chess. 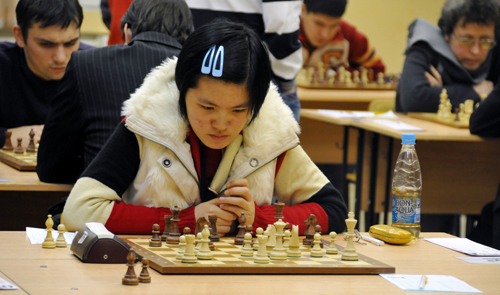 She also won China’s first chess gold at the Guangzhou Asiad.